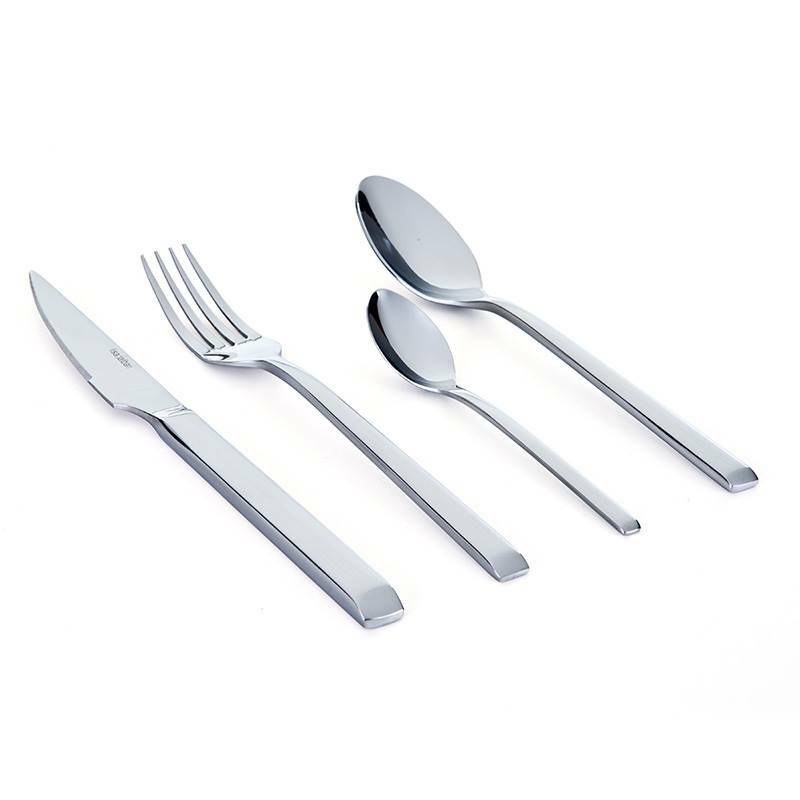 This design cutlery set includes 16 pieces of tempered stainless steel flatware to ensure long lasting time. 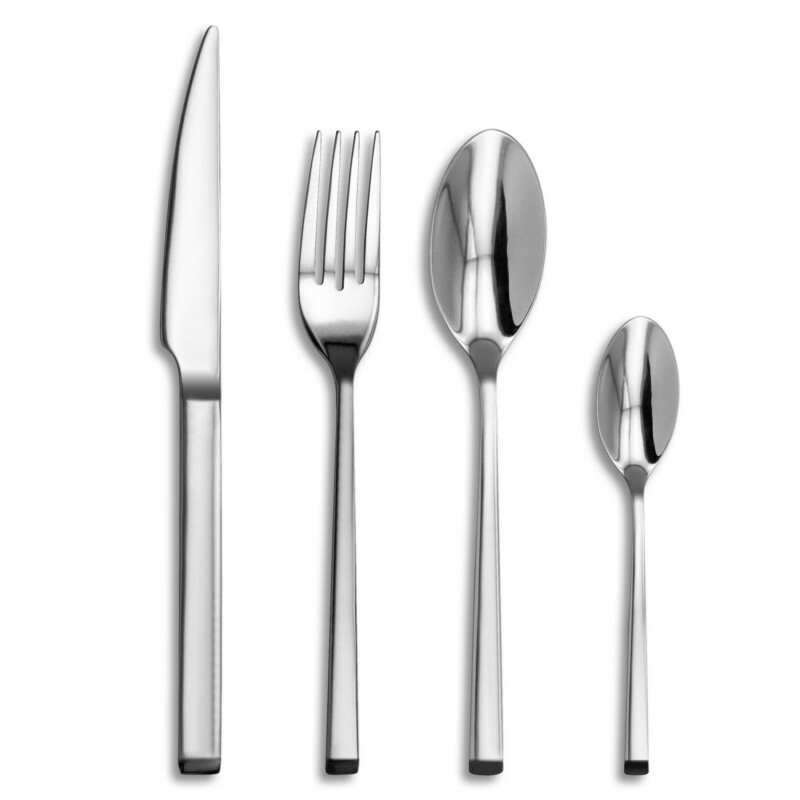 Made of one-piece, each piece of flatware benefits from flawless quality and very chic contemporary look. The extremely thin handle of this flatware offers an uncluttered line while being light and easy to handle. 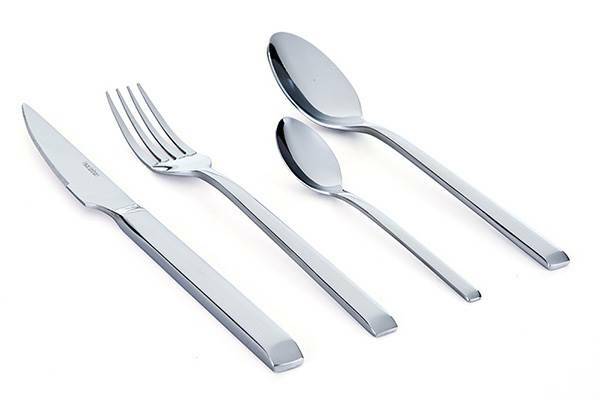 The knives, forks, tablespoons and teaspoons of this Soho cutlery set have been created by the Research and Development department of TB cutlery in Thiers. Thanks to its know-how inherited from several generations, Tarrerias-Bonjean offers high quality flatware while adapted them to gourmets’ and cooks’ daily needs.